I don’t like large phones. I find them unwieldy and uncomfortable to carry and use, but I know lots of people who love them. 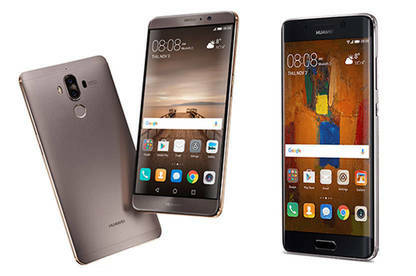 If you’re one of these big-phone lovers, then you’ll want to try the Huawei Mate 9 and Mate 9 Pro. The Pro is a little smaller and lighter than the regular Mate 9. The Pro also has its headphone jack at the bottom and fingerprint sensor on the front. The effect of the latter makes the Pro look like a Samsung Note. Where the fingerprint sensor is located sounds like a small thing but depending on how you use your phone it can be a massive annoyance. It’s difficult to hold a larger phone with one hand, bring your thumb around to the front to touch the sensor, and still balance it. 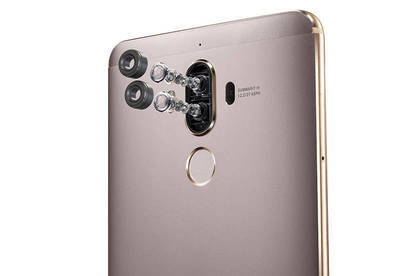 A quick “test” of staff in the Consumer office backed this up; while many preferred a sensor on the front, most agreed they needed to use a finger on the back to balance the phone — right where the sensor is placed on the regular Mate 9. On the back of both phones are 2 Leica-engineered cameras. Like the Huawei P9, there’s a dedicated monochrome camera and a full RGB camera. They also have all the same manual controls (aperture, ISO, etc) and different focus options. These big phones can take excellent photos. The backs of both phones feature 2 Leica-engineered cameras. Both versions of the Mate 9 are powerful, running Huawei’s Kirin 960 octa-core CPU (4 x 2.4 GHz A73+ 4 x 1.8 GHz A53) + i6 co-processor. Everything ran much faster than on other phones I’ve used. The Pro doesn’t have space for a micro SD card, but does have 128GB of storage (as with all phones, some of this is used for the operating system). However, all of this power eats through battery life. The Pro suffers more than the Mate 9, but by the end of a day I would be getting “low battery” warnings from both. The Huawei version of Android has a great power management system that prompts you to turn off energy-draining apps — Facebook is especially bad for turning itself on in the background. But even after killing apps, I’d still be close to 15% by 10pm. I am a high-end user and have had similar issues with the iPhone 7, but I expect batteries in larger phones to last longer. My only other issue was Bluetooth. I use Bluetooth headphones when I’m walking and the sound from both phones would intermittently cut out. Though trial and error I discovered this could be simulated by covering the top of the phone with my hand. At first it wasn’t an issue, but it kept cropping up and got to be really annoying. The Bluetooth issue did bug me and the battery felt like a let-down but as long as I remembered to top-up before a big night out I was fine. The Mate 9 and Mate 9 Pro aren’t the best big phones I’ve used, but they aren’t far off and in terms of pure power they are well ahead of the pack. First Looks are trials of new and interesting products from the perspective of our product experts. Our lab-based tests offer truly objective product comparisons. These phones were loaned to the writer by Huawei.